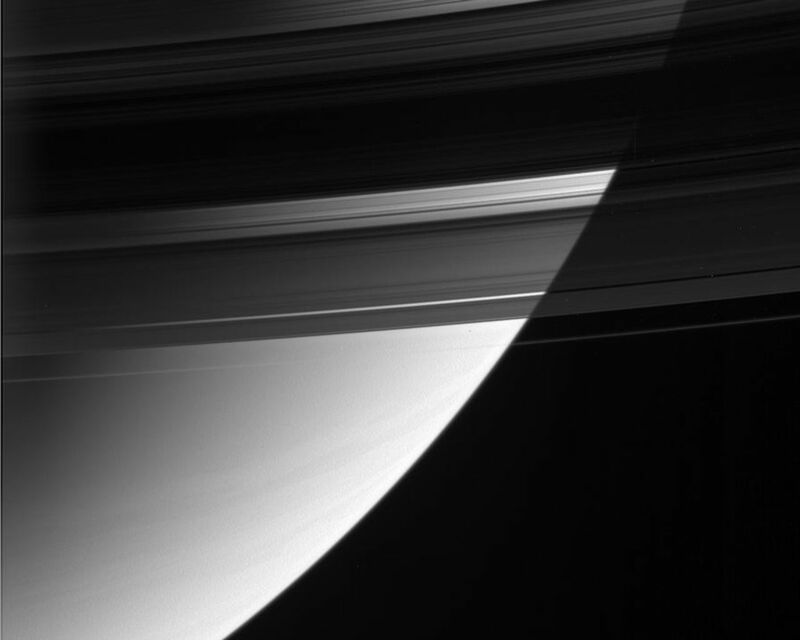 This magnificent view looks down upon, and partially through, Saturn's rings from their unlit side. When the bright source is the signals coming from the spacecraft, the technique is called a 'radio occultation.' In a radio occultation measurement, a signal is beamed toward Earth from Cassini's 4-meter-wide (13-foot) high-gain antenna. 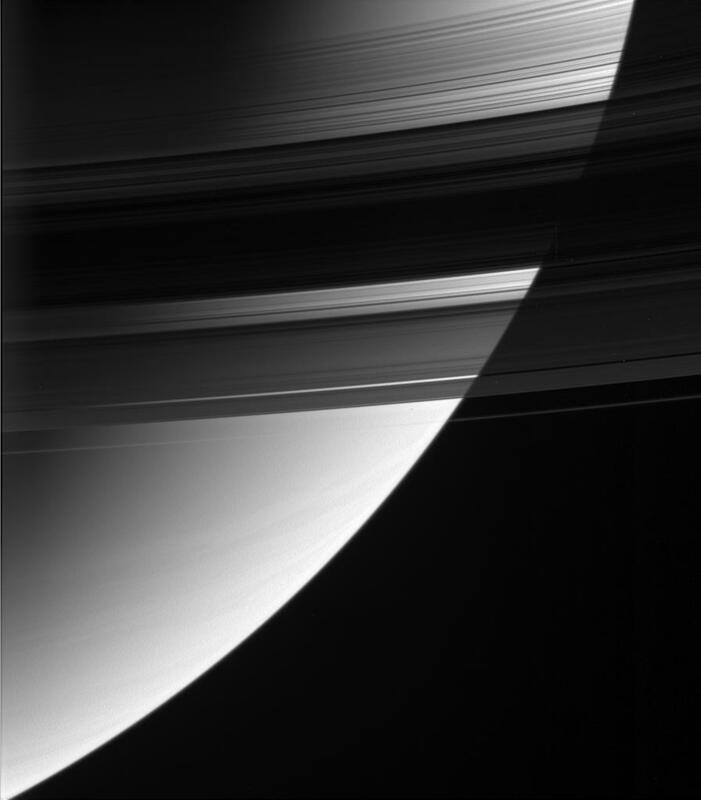 Researchers on Earth receive the signal as the spacecraft passes behind the rings. 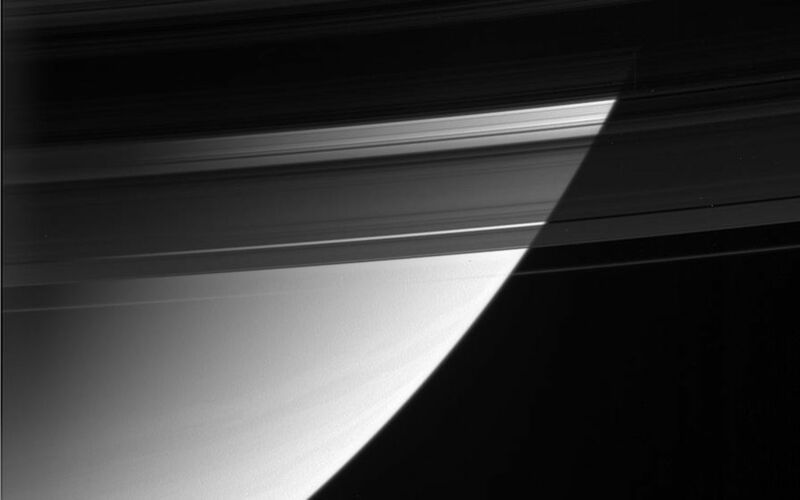 The reduction in Cassini's radio signal tells researchers how densely packed the ring particles are. Scientists can also learn about the size distributions of the particles from occultations. As an added (but tiny) bonus, Saturn's moon Atlas (32 kilometers, or 20 miles across) is visible as a dark speck against the planet, just outside the A ring.